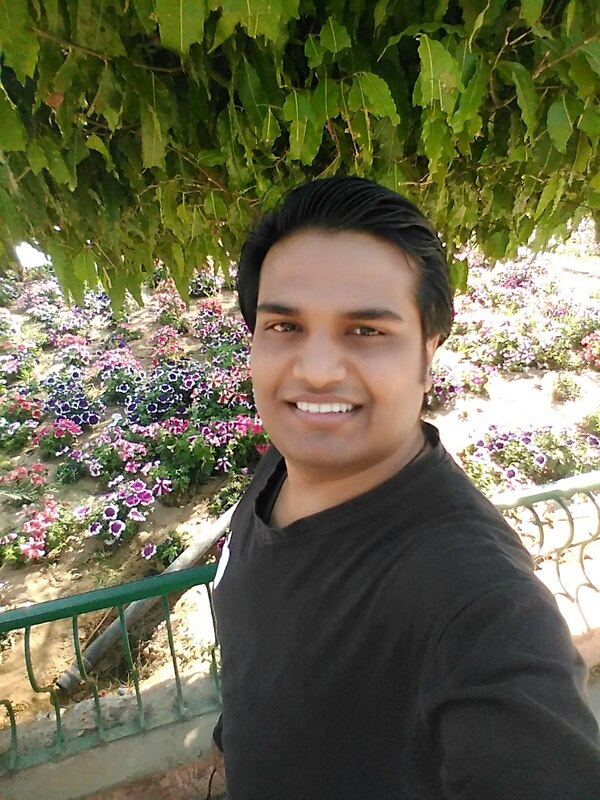 Hello Guru Prema Kosame is an Indian Telugu Language Action, Romance film. Directed by Trinadh Rao Nakkina and produced by Dil Raju, Shirish & Lakshman under the banner of Sri Venkateswara Creations. The film features Ram, Pranitha Subhash and Anupama Parameswaran in lead role. Hello Guru Prema Kosame released worldwide on 18 October, 2018. -> Hello Guru Prema Kosame has a good first week worldwide with a distributor share of over 17 Crore. -> Hello Guru Prema Kosame has earned 12.95 crore for its distributors. -> Hello Guru Prema Kosame has collected approx 19.70 crore gross at the AP / TG box office in its first weekend (4 days). -> Trinadh Rao Nakkina Direction venture Hello Guru Prema Kosame has remained rock-steady at the box office and its three-day collection has crossed 15.00 crore gross mark in AP/TG box office. -> Hello Guru Prema Kosame (HGPK) has collected 04.57 crore gross on its 3rd day at the Andhra Pradesh and Telangana (AP/TG) box office. 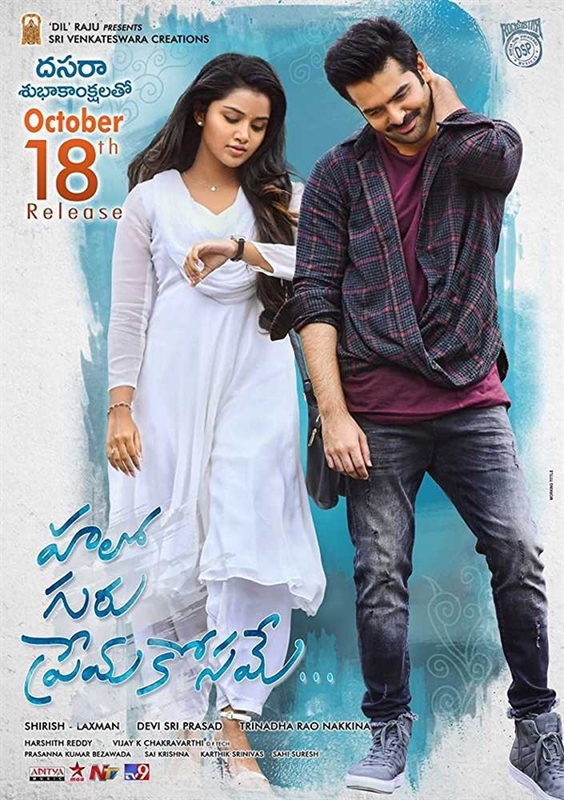 -> Ram Pothineni, Pranitha Subhash & Anupama Parameswaran starrer Hello Guru Prema Kosame (HGPK) collected 05.66 crore gross on its 2nd day at the AP/TG box office. -> Hello Guru Prema Kosame collected Rs 5.70 crore gross at the AP/TG box office on the first day. Music Composed by Devi Sri Prasad. Listen & Enjoy Hello Guru Prema Kosame Telugu Movie Full Songs Jukebox. Starring Ram Pothineni, Anupama Parameswaran. 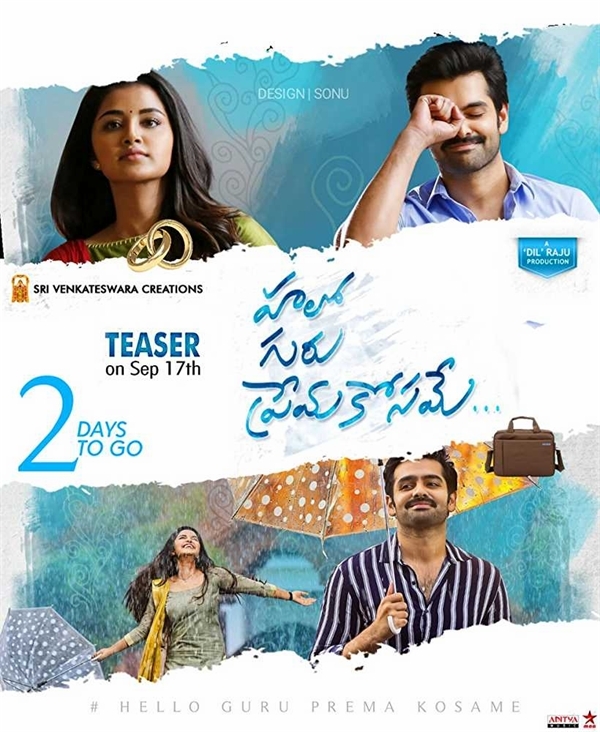 Watch Hello Guru Prema Kosame Trailer starring Ram Pothineni, Anupama Parameswaran. No Comment to " Hello Guru Prema Kosame: Box Office, Budget, Cast, Hit or Flop, Posters, Release, Story, Wiki "